Traditionally, Vitaminwater (www.vitaminwatercanada.ca) has been consumed as a healthy means of hydration the day after a big drinking night out. Well, last week, to kick off Toronto’s Fashion Week, we were asked to develop cocktails using the hangover elixir as a mixer. Nip it in the bud the night before with these two all-in-one drinks served at the Seven Continents Warehouse party, Bamboozle. 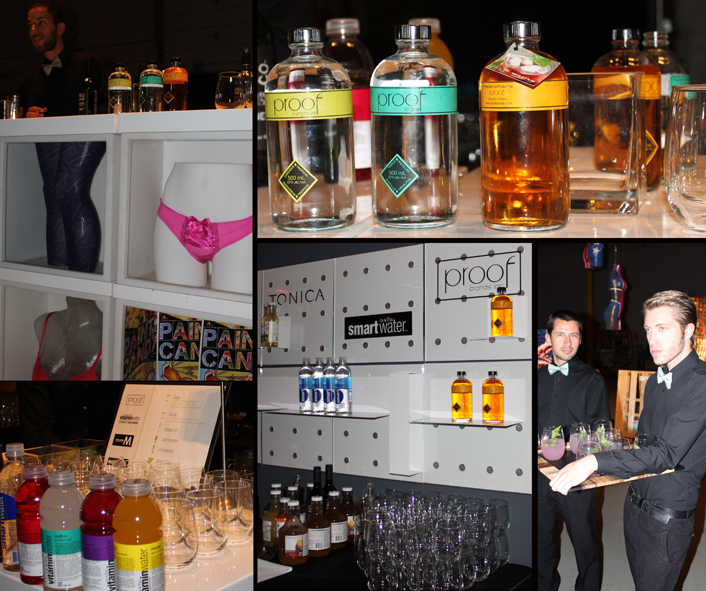 Like us on Facebook http://www.facebook.com/pages/Proof-Brands/181641835185326 and Twitter http://twitter.com/proofbrands to get last minute updates on tastings, parties & events. Ignite your inner beast with the combination of vitamins c and b in mega c. fuel muscles. encourage health. when it comes to charging for the day, one bottle and you can take on the world. In a cocktail shaker filled with ice, add 1 ½ oz proof whisky, 1 oz guava juice and 4 oz vitamin water Mega C. Shake well and strain into a glass filled with ice. Garnish with mint. With added b vitamins, guarana extract and natural caffeine, this drink will give you that extra spark to accomplish many things. In a cocktail shaker filled with ice, add 1 ½ oz proof rum, 1 oz simple syrup, 1 oz lime juice and 4 oz Vitamin Water Spark. Shake vigorously and strain into a glass filled with ice. Garnish with basil leaf. 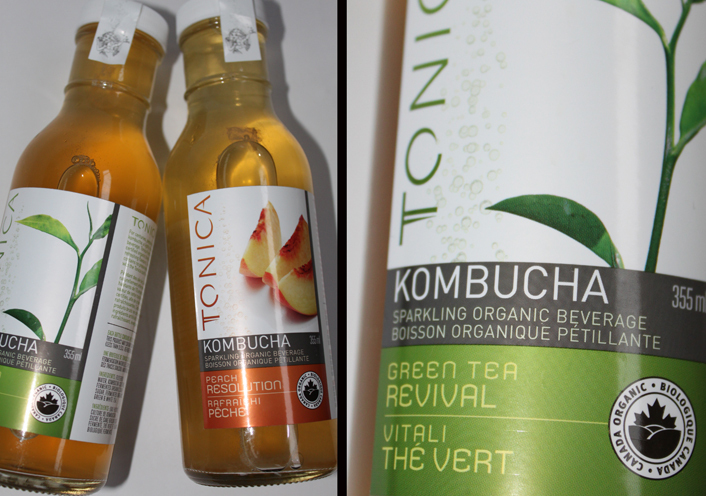 When guests entered the warehouse, they were greeted with a Tonica Kombucha welcome drink, which was also created for the event. We also partnered with Tonica Kombucha to come up with these two kombucha cocktails – the Tango and Revival (www.tonicakombucha.com) We used Tonica Mango Passion and Tonica Green Tea Revival. Tonica Kombucha can be found at Noah’s, the Big Carrot and many other health food shops in Toronto. All of our cocktails were served alongside catered goods from Daniel et Daniel in Toronto. 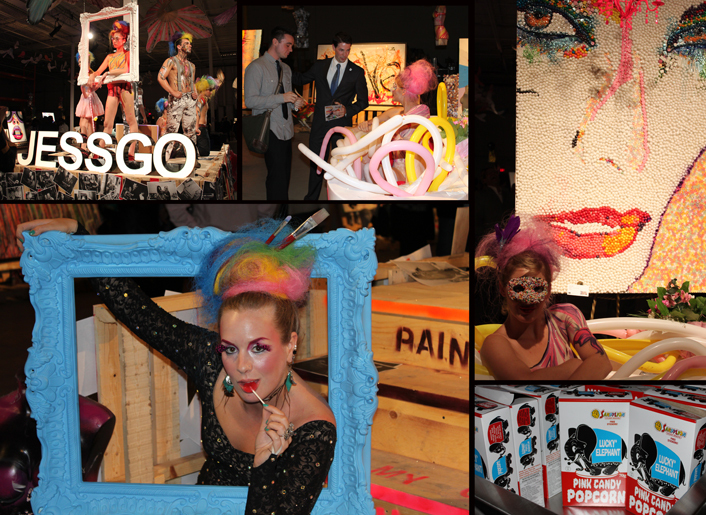 BAMBOOZLE was a "celebration of art and fashion in its many incarnations". Sharing the 90,000 sq. ft. 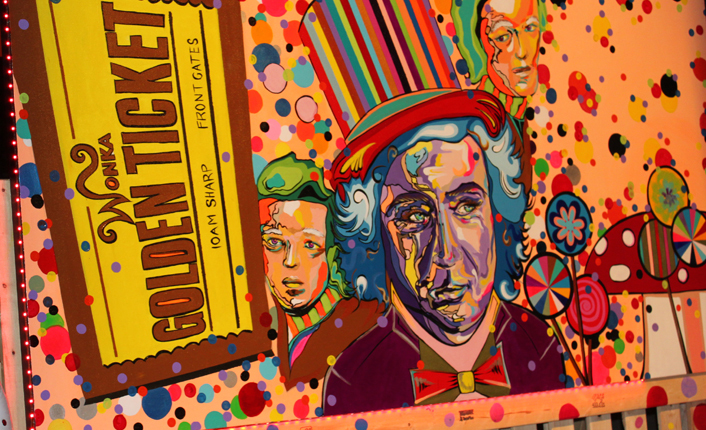 Seven Continents space with 5 other artists, Jessica Gorlicky’s (www.jessgo.com) “PAINT MY CANDY” exhibited in her 10,000 sq. ft. space displayed: Large scale canvases of original art, Hand-painted floating mannequins, Body painted models, Video installations, Flying “Butterflettes”, Music by Jet Entertainment, proof cocktails, and lots of candy! 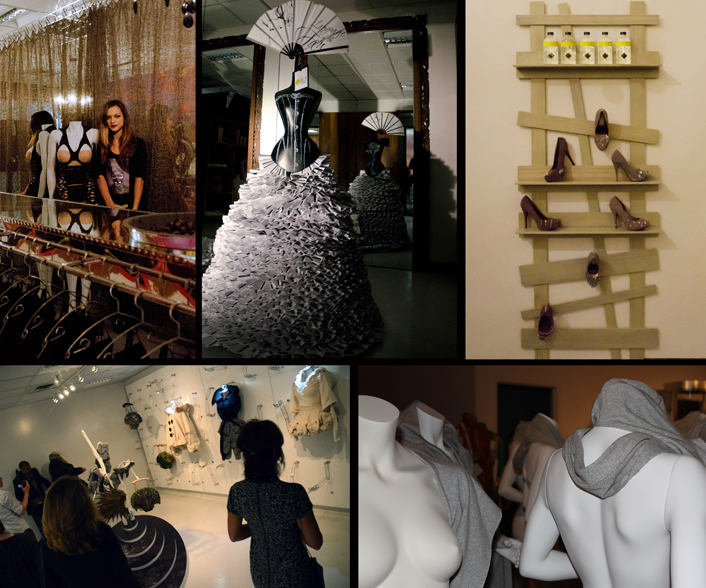 The event also featured four "Pop Shops" featuring Cindy Rendely OBJEX for jewellery, Cydelic by Chorin for accessories, Provocative for lingerie, and X-Crated for shoes. 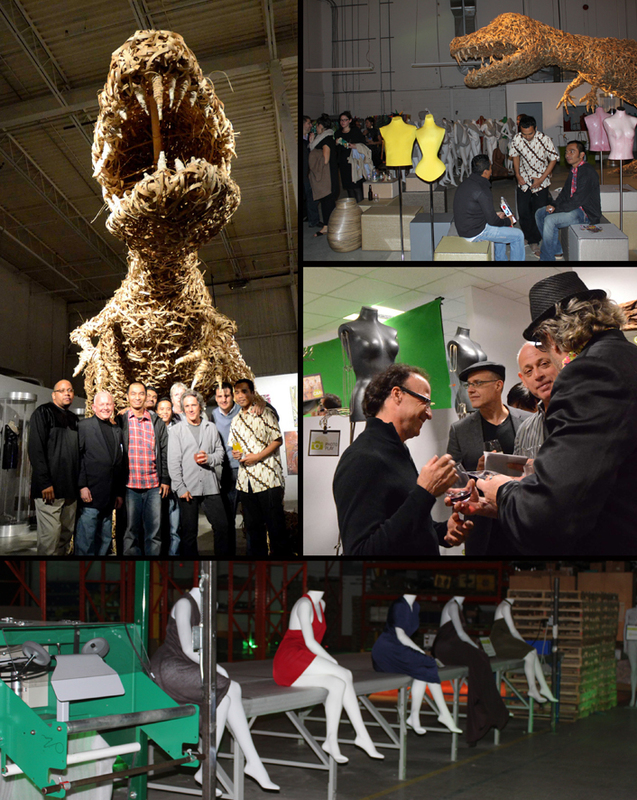 The event also celebrated the grand opening of SEVENup Retail as well as the introduction of Indonesian painter and sculptor Andi Ramdani. Sunday: Variable cloudiness and a high of 12 degrees. Stay tuned for next week's special Halloween Edition!